(Newser) – Over the past decade, "Isis" has "become synonymous with 'a better birth experience,'" Georgia's Isis Women's Health Care writes on its website. That's recently changed, for obvious reasons. "One morning we woke up to news of a beheading by a terrorist organization the media chose to refer to as ISIS," the business states. "That meant bad news for us." 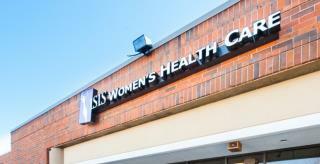 Since then, Isis Women's Health Care has received dozens of death threats, WSB-TV reports. "I became concerned for me and my staff," Dr. Hughan Frederick tells WXIA. Finally, one caller made it clear it was time for a name change. "This particular individual identified himself as ex-military and indicated for us not to be surprised if someone were to come and shoot up the building," Isis administrator Randy Haviland says. There used to be a diet candy pill called AYDS. Then the HIV related illness co-opted the name.